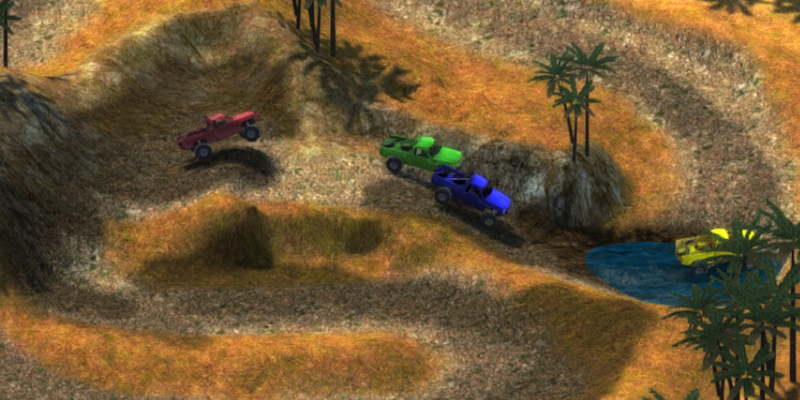 Race against AI or friends in a fun isometric 4x4 racing game. Race the series to earn cash and upgrade your truck for a further racing experience. Improve your racing skills with it's advanced physics simulation. A fun and challenging experience. Race 5 laps event in any of the first 8 tracks included. The game is in development and will have much more content added to it. From tracks to trucks and new features. 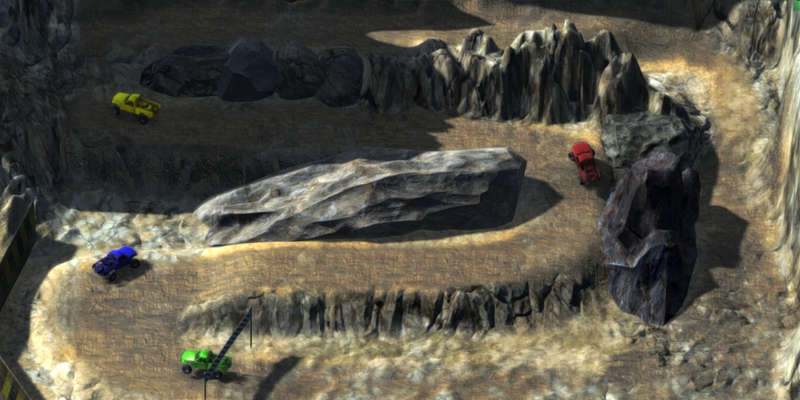 Dirty Trucks 4x4 2 is the evolution of a browsed based game into PC platform. The main goal of the game is to bring back local multiplayer gameing experience by the use of universal periferical inputs. Connect any Windows able Game-Pad or joystick via USB, set your controls very easily once in game and you can play up to 4 players simultaniusly. All players can use Game-Pads but also can be used with normal keyboard inputs. Player one and two are setup for keyboard by defualt. (configurable). Set controls once and forget. 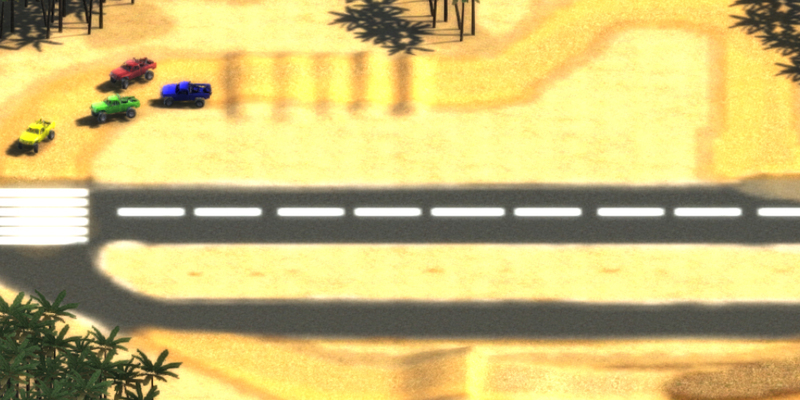 The game automatically save controls configurations so it will automatically setup your gameplay in the future. 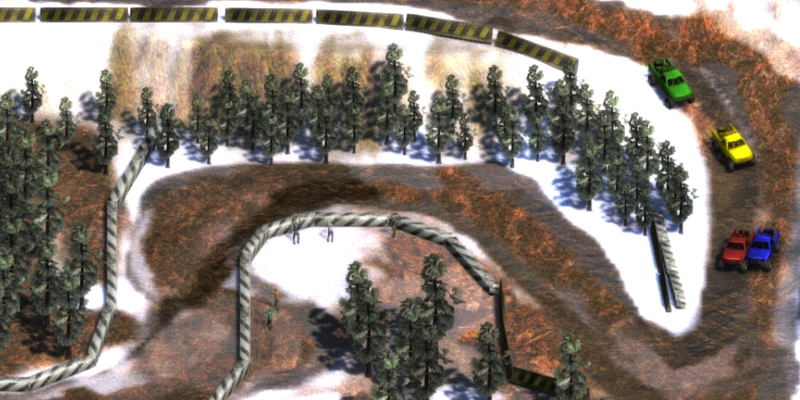 The idea is to fuel up the game development and adding of new stuff while getting contributions in this early acces version(s). Thank you! And hope you like my game.